Las Olas River House is Fort Lauderdale's address of choice for an elevated approach to sophisticated city living. 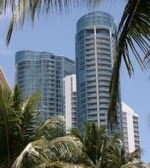 Las Olas River House is a modern new world class condominium residence with Penthouse homes in downtown Fort Lauderdale. Within walking distance is the Museum of Art, shops & restaurants along Las Olas Boulevard, River Walk & the Entertainment District, Broward Center for the Performing Arts, Water Taxi pick-up and so much more. The beautiful and state-of-the-art building includes a 10,000 square foot glass walled fitness center overlooking the New River. Two beautifully landscaped free-form swimming pools on a 60,000 square foot deck are surrounded by cabanas that include full baths and kitchenettes. River House residents can purchase these cabanas. The two story lobby will be graced with a waterfall and specially commissioned sculptures. The lobby floor will be of wide-plank mahogany inset with semi-precious stones. Residences range from 1,500 to a spacious and luxurious 7,000 square feet and prices range from the mid $300k's to over $7 million. Las Olas River House was completed and the first residents moved into this distinguished 42-story, 287 residence landmark early in 2005. 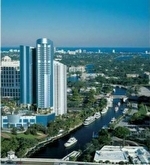 Las Olas River House occupies an entire city block on fashionable Las Olas Boulevard in downtown Fort Lauderdale along the New River, with views of the river, the ocean, the city and beyond. 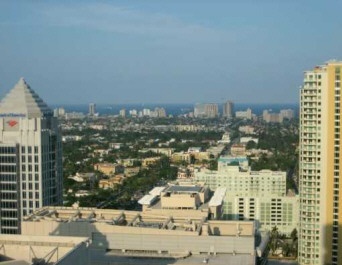 It is Fort Lauderdale’s tallest and, clad in blue tinted glass, most dramatic tower. Las Olas River House boasts floor to ceiling glass and private elevators. Every unit has views in at least two directions. The most lavish is about 7000 square feet of air conditioned space and 3000 square feet of terrace. The building includes a 10,000 square foot glass walled fitness center overlooking the New River for the exclusive use of residents. Two beautifully landscaped free-form swimming pools on a 60,000 square foot deck are surrounded by air-conditioned cabanas that include full baths and kitchenettes. River House residents can purchase these based on availability. Other features not found elsewhere include storage and hobby rooms available for purchase and outfitted with full baths, kitchenettes and windows. On-site offices, guest quarters, putting green, lounge, library, wine cellar, dining and entertaining rooms with catering kitchens, a riverside cafe and sundries shop also set River House apart. Twenty-four hour a day concierge service is included as well as uniformed doormen and valet parking. 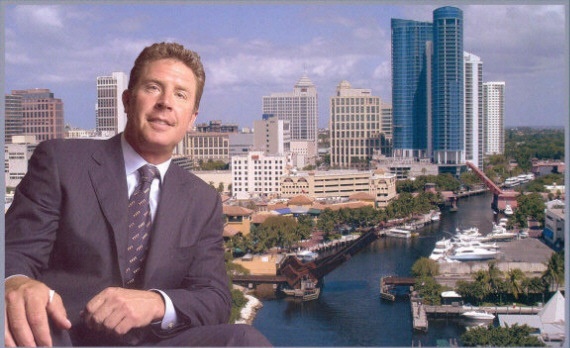 The retail and commercial space directly on Las Olas blvd. 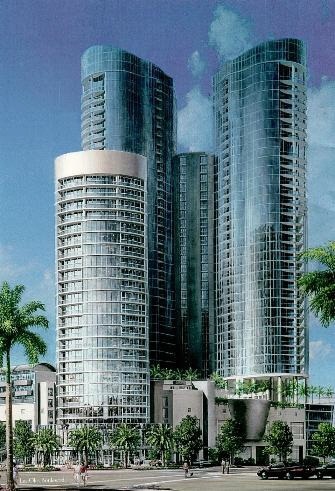 will include a Restaurant and a 10,000 square foot Day Spa among other exciting and enjoyable locations. Area A/C - 1,632 sq. ft.
Terrace - 241 sq. ft.
Total Area - 1,873 sq. ft.
Area A/C - 1,262 sq. ft.
Terrace - 48 sq. ft.
Area A/C - 2,148 sq. ft.
Terrace - 247 sq. ft.
Total Area - 2,395 sq. ft.
Area A/C - 2,618 sq. ft.
Terrace - 276 sq. ft.
Total Area - 2,894 sq. ft.
Area A/C - 2,887 sq. 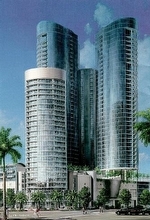 ft.
Terrace - 495 sq. ft.
Total Area - 3,382 sq. ft.
Area A/C - 2,426 sq. ft.
Terrace - 438 sq. ft.
Area A/C - 3,470 sq. ft.
Terrace - 600 sq. ft.
Total Area - 4,070 sq. ft. Storage and hobby rooms available for purchase and outfitted with full baths, kitchenettes and windows.